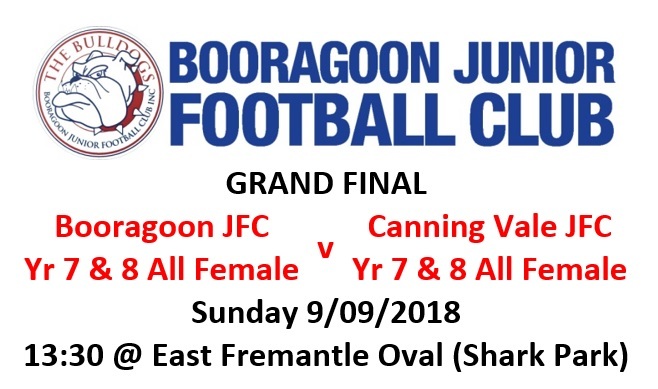 Notice is hereby given that the Annual General Meeting of Booragoon Junior Football Club will be held on Sunday December 2nd 2018 at 4pm; Karoonda Clubrooms Booragoon. Any committee nominations to be forwarded to president@booragoonbulldogs.com.au prior to 1pm December 2nd. All Committee positions are vacant. We are seeking nominations for all positions. The success of our football club is solely dependent on contributions from volunteers. Close to half of our current Committee is from our Year 11 team. We are in dire need of having representation on the Committee from the younger year groups, with more representation from Auskick and Girls Football extremely welcome. A number of long term Committee members will be permanently stepping down after this season. We need you to get involved in the running of your football club. Ideally we have at least one person from each Year group. Running this football club is a very rewarding experience and great way to contribute to our community. We look forward to seeing you put your hand up to be part of directing our football club in 2019 and beyond. We’re looking for people to fill these positions on the Club Committee. Events Coordinators: Schedule, plan and managed events – sundowners, social events, fairest & best evenings, club wind-ups, etc. Our Yr 12’s are playing in the GRAND FINAL this Sunday. It would be absolutely fantastic if we can get as much support down to Shark Park to cheer on the boys. 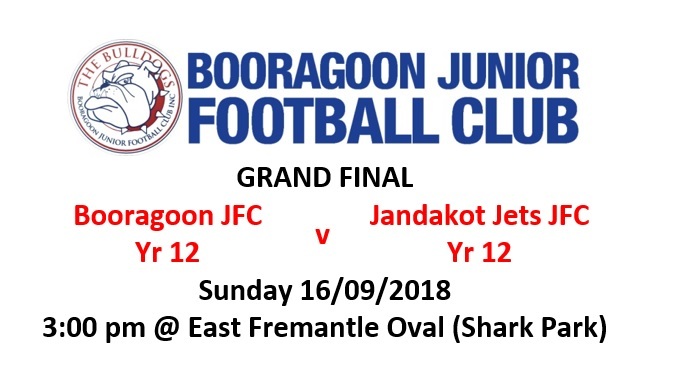 Our 7/8’s team is playing in the GRAND FINAL this weekend. It would be absolutely fantastic if we can get as much support down to Shark Park to cheers on the Girls. Volunteer Celebration at the end of the night. Boys Year 10, 11 & 12 players and their families to attend our Fairest & Best Awards Evening. Format: Informal meal and drinks. The bar will be available for guests. Price: All players complementary. Players family and guest $5 at the door for entry and meal. Girls 9-11 and Boys Year 8 & 9 players and their families to attend our Fairest & Best Awards Evening. 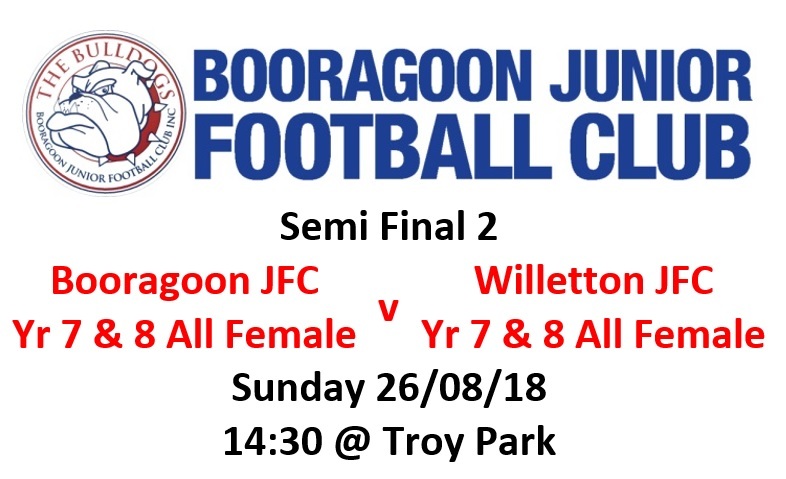 Good luck to our Yr 7 & 8 All Female Team – this Sunday 26th August 2:30pm @ Troy Park in their SEMI FINAL. Please see the below table with the weekend Friday 24th August – Sunday 26th August HOME Fixtures, including Oval allocations. Please see the below table with the weekend Friday 17th August – Sunday 19th August HOME Fixtures, including Oval allocations. (See pictures of Oval locations – previous posts). Please see the below table with the weekend Friday 10th August – Sunday 12th August HOME Fixtures, including Oval allocations. (See pictures of Oval locations below).